Menudo Soup (Mexican Tripe Soup recipe) – I am not sure what to say as to who I adapted this Menudo Soup from as it was a lot of different people. Granny (Robert’s grandmother Felipa) is the one who I probably watched make it the most, but Robert walked me through it the first time I made it. I really can not remember. I just know that when Granny makes it she uses nixtamel (the dried hominy corn that has to be bloomed and the ends taken off and soaked in a lime bath). Nixtamel just is too much trouble for me to do most of the time. I do not think there are too many people who do use it anymore, except the older generation who still make it. Almost any weekend morning, you can be assured that a large number of homes in the Southwest will have a pot of Menudo Soup cooking. For my husband, it is habit to eat a bowl of Menudo Soup every Sunday morning. I am not sure why so many people eat it on the weekends, especially in the morning. I would never think of tripe being a breakfast food. However, I have been told there is an old wives tale about how Menudo can cure a hangover. Whatever the reason for eating it, habit or hangover, Menudo is definitely one traditional southwestern food that has not made its way onto the menu of many Mexican food restaurants. I have adapted the original recipe for this Menudo, since the original recipe can actually take days to prepare. 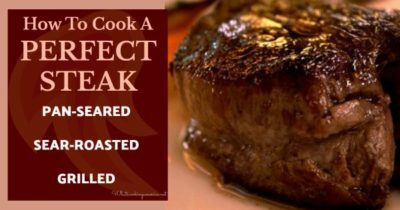 Even as simple as the recipe is, it requires a great deal of cooking time even in the adapted recipe. * Tripe comes from the market already cleaned and the calves feet simply have to be washed well. ** Hominy refers to corn kernels without their germ and their hull or bran. Hominy can be served whole or ground. Wash the calves’ feet well and place in a large pot or cast-iron Dutch oven. Cover with water and cook over medium-low heat for 1 hour. Wash tripe thoroughly and cut into 1 to 2-inch square pieces. Add these to the calves feet after the hour has passed; add onions and garlic. Place the oregano and coriander seeds in a cheesecloth bag and tie loosely; add the bag to the pot. Add the red chile powder. Simmer the mixture over a low to medium heat for approximately 6 to 7 hours, or until the tripe is tender. Add the hominy and cook for another hour; remove from heat. Ladle hot menudo into bowls. Garnish with diced onion, cilantro, lemon wedges, and/or green onions as garnish. NOTE: Menudo will keep several days in the refrigerator and freezes fairly well. Menudo is a very old south texas staple food that was started in this part of Texas by people emkigrated from mexico in the 19th century. It was the result of a cow being killed by accident on the ranches and to avoid waste the vaqueros would cook the stomach of the cow including the rest of the animal. The other items were the feet cooked together to be the menudo food. You cannot get menudo any fresher than that. My father would do the menudo in that manner in the late 1940’s for us in the ranch. Later people would add pork feet to the mix and all the present ingredients such as peppers and hominy. Now i have my own recipe for menudo and it involves many ingredients. The time to cook it is around 3 to 4 hours since a fast cook of the menudo is not that great when it comes to the finish. People have complimented me on my recipe. But as many mexican foods the manner and ingredients vary as the moon and stars. It is a manner of tradition and taste all along. My menudo broth taste very bland What can I add. The recipe has plenty of spices to add flavor and you should add salt and pepper to the pot of soup till it reaches your preferred taste. The garnishments of diced onion, cilantro, lemon wedges, and/or green onions will also add more flavor to the soup for each person.